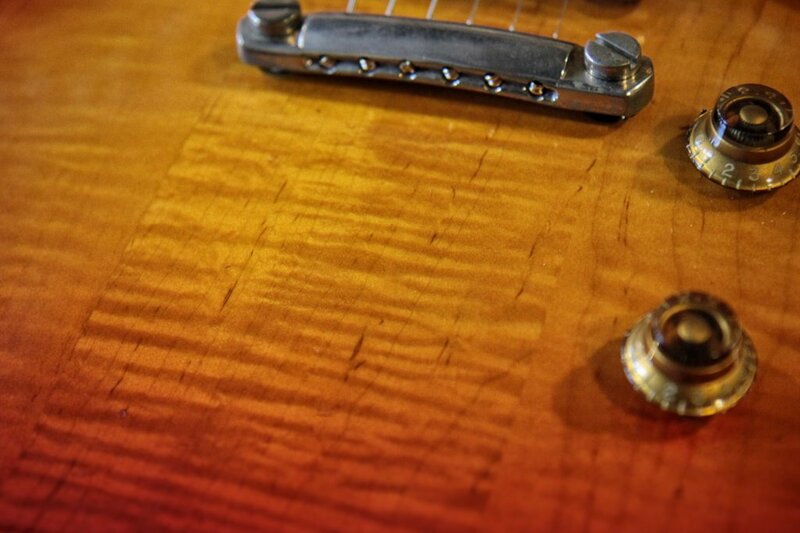 A close encounter with the First Burst – the first known 1958 Gibson Les Paul Standard in sunburst – at Nashville's Carter Vintage Guitars. With Summer NAMM 2016 just hours away, what better way to kill time in Music City than to have an audience with one of the most significant electric guitars on the planet? Carter Vintage Guitars is no stranger to vintage and rare instruments but this might just top them all: the very first sunburst-finish Les Paul Standard ever to leave the Gibson factory. 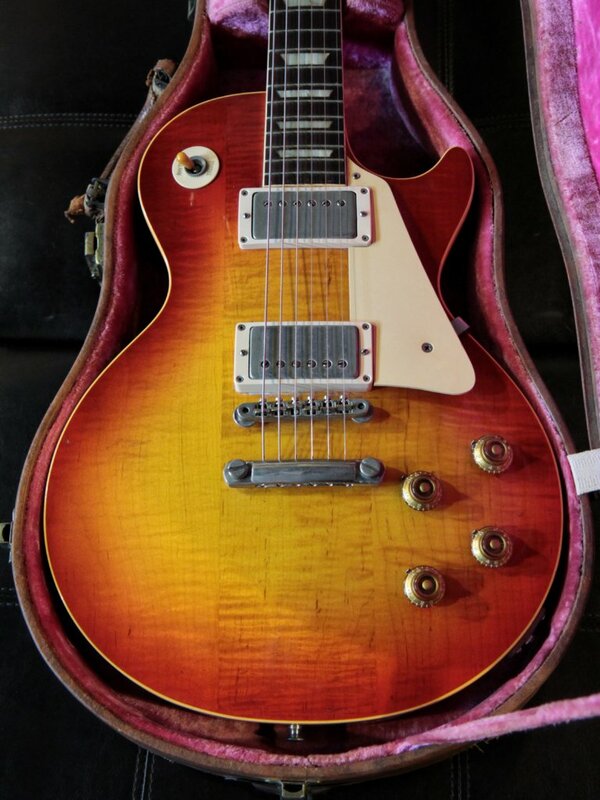 Zach Broyles from Carter Vintage takes up the narrative: “We got an email from a friend or maybe a family member of the owner who was reaching out to say that they had a Gibson for sale. In the email they mentioned the serial number and Walter [Carter] – who was Gibson’s house historian for years – recognised it, and he recalled seeing the serial number in Gibson’s shipping ledgers. 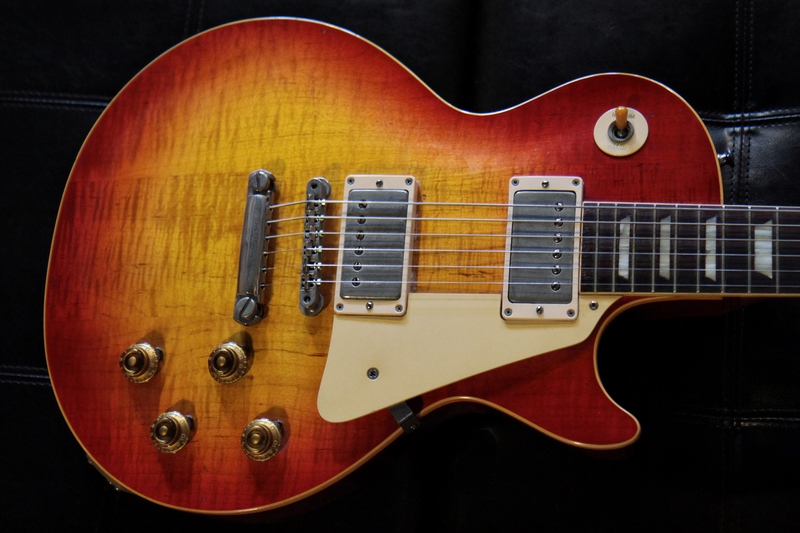 Like many Goldtops, serial number 8 3087 has a three-piece top. Other interesting points to note are that the condition is remarkable; it has hardly any lacquer checking and around the back there’s very little wear, with the neck displaying only a little fading to a more pinkish hue than the factory red. 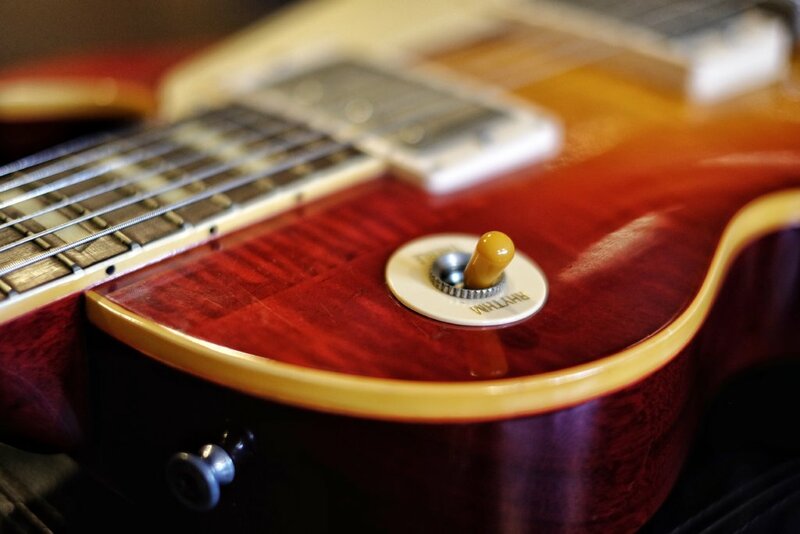 The neck profile isn’t as deep as many ’58 reissues, although it is very comfortable indeed. Acoustically it’s bright with a taut, snappy feel. 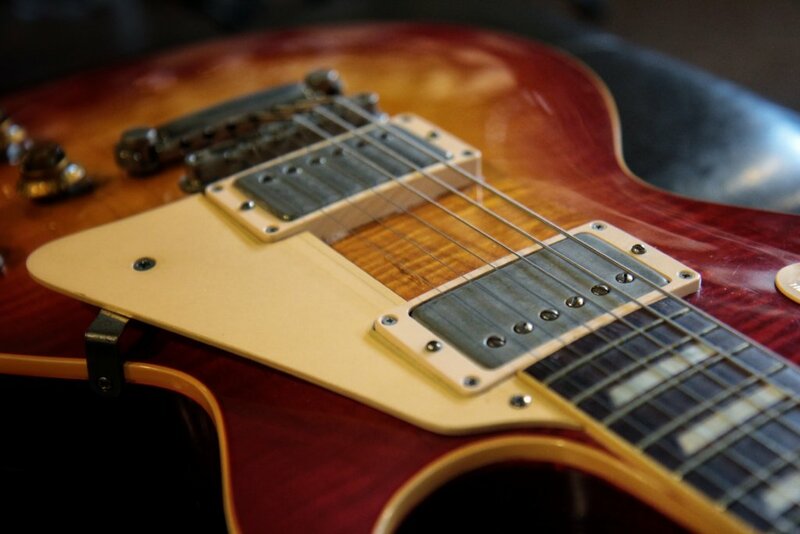 The slim frets offer a little more fight when bending strings than you’d get from a Les Paul fitted with jumbos. 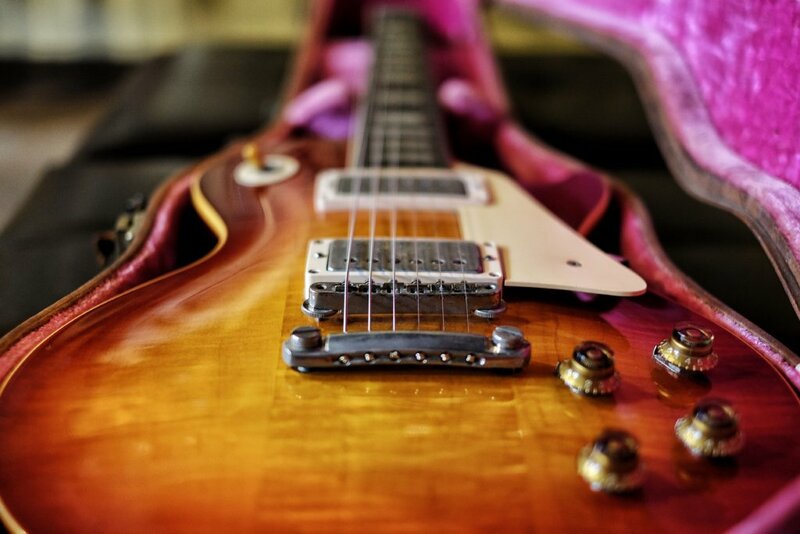 Regardless of the considerable historical significance, it’s a guitar that’s hard not to love. “This was going to be the guitar that they would take around to shops and show them what the new finish was going to look like,” Broyles explains. 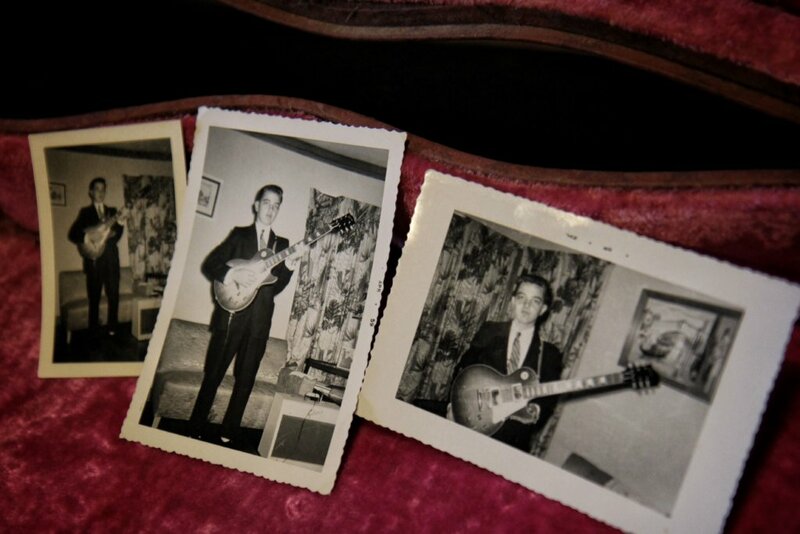 “It was just going to be a showcase instrument. In the shipping ledger it doesn’t say ‘cherry sunburst’ or ‘sunburst’, it says ‘special finish’. So it was still in the testing phase. But it ended up getting sold. Visit Carter Vintage for more.